NATO will take a request by Turkey and Germany in seeking help to control migrant flow “very seriously” when defense ministers gather for a meeting in Brussels on Wednesday, the alliance’s Secretary General Jens Stoltenberg has said. 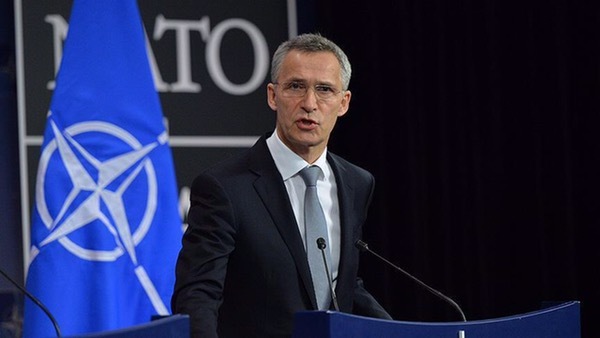 “We will take very seriously a request from Turkey to look what NATO can do to help them deal with this crisis and all the challenges they face,” Stoltenberg told reporters in Brussels on Tuesday. “[NATO defense] ministers will address these issues because the refugee and migrant crisis is of great concern for all of us,” Stoltenberg added. Turkey and Germany are planning to seek help from their NATO allies to stem the flow of refugees and migrants coming from Syria and into Europe via Turkey. German Chancellor Angela Merkel on Monday visited Turkey, which had agreed with the EU to stem the flow of refugees coming into Europe in exchange for an acceleration of its accession talks. Stoltenberg reiterated that Russian airstrikes in Syria were undermining the peace talks in Geneva.